Do you create shownotes for each episode of your podcast? Where do you post them (website, ID3 tags, RSS tags)? And how do these notes look to your listener? Are your links clickable in a podcast app? 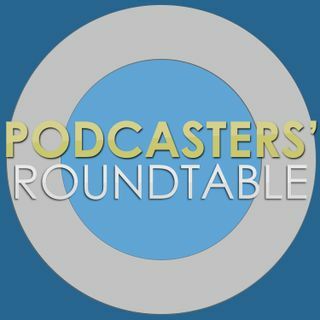 Join Ray, Dave, Daniel, and Civilla Morgan to discuss how your shownotes look to your podcast listeners and other podcasting news, topics and tips You can subscribe to the episode mailing list to get new Rounds delivered to your inbox automatically. Sign up, if you'd like to appear on a ... Más informaciones future Round. Thanks and I can't wait to see you at the Roundtable! Subscribe to Podcasters' Roundtable on YouTube and use the bell icon to set notifications so that you know when we're live!